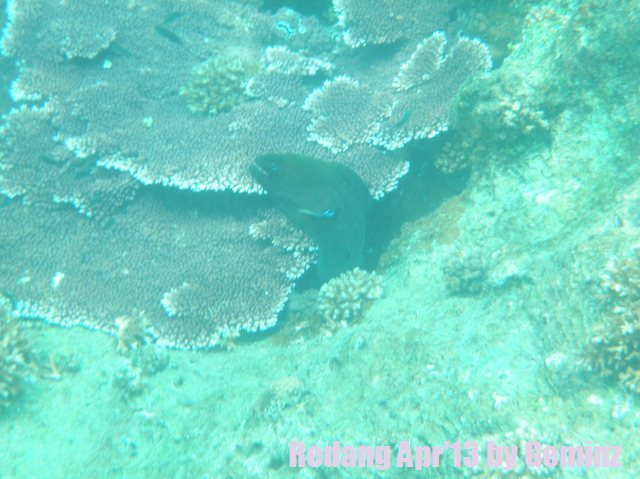 These are some of the photos we shot during snorkeling, unfortunately, we did not encountered baby shark and nemo fish. 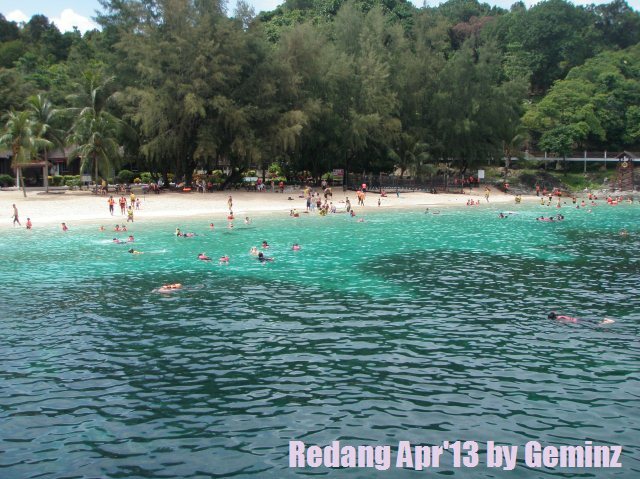 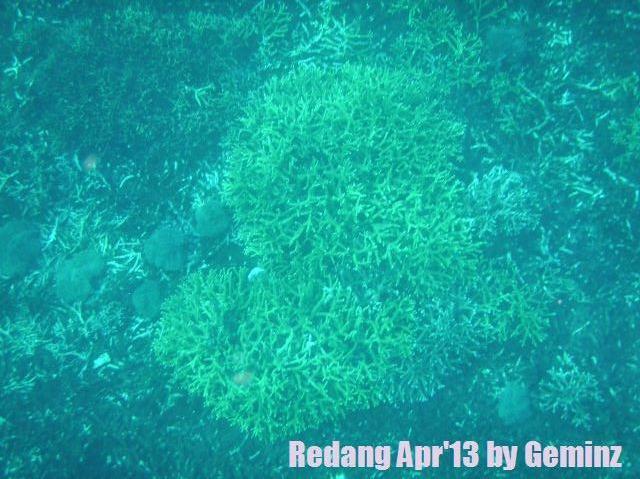 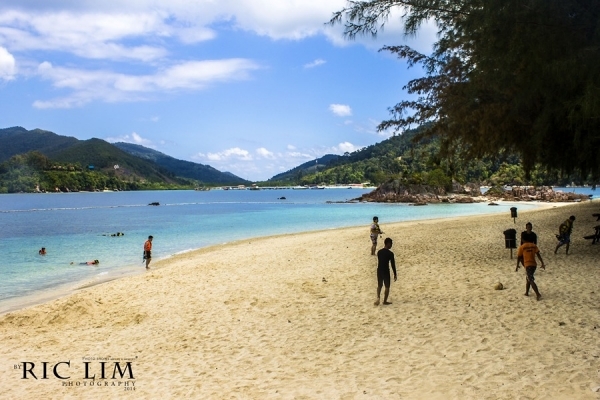 The first photo is the love shape coral, this is one of the attractions for snorkeling in Pulau Redang. 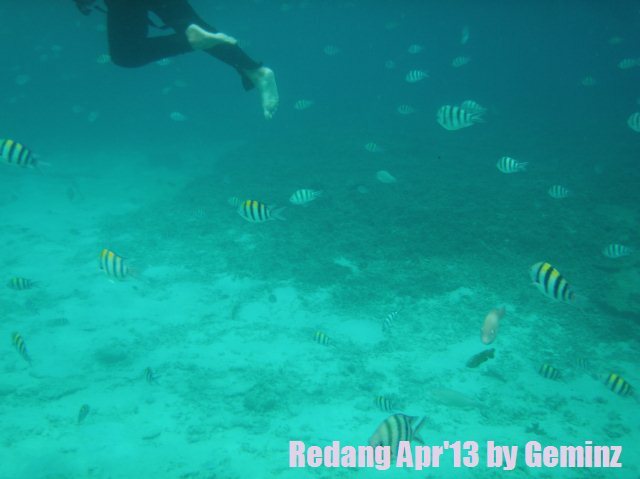 Entrance fee to the Redang Marine Park is RM5 and this is not included in the package. 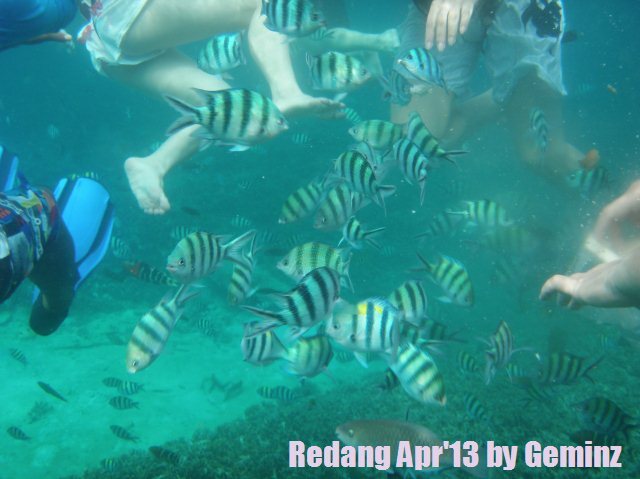 This is a must visit place if you are joining a snorkeling tour, there are great diversity of fish here and do not forget to bring along breads to attract the fish.